After more than three decades of sold-out stages, Mötley Crüe has decided to call it quits. However, the band has a little surprise up its sleeve. Legendary rockers Mötley Crüe have enjoyed immense career success and longevity, but now the heavy metal band has finally decided to call it quits. The band announced their retirement during a press conference on Tuesday afternoon inside Beacher’s Madhouse at the Roosevelt Hotel in Hollywood, California. Mötley Crüe has been in the music business for more than 30 years, and the entertainers have been hinting at retirement for quite some time now. The decision was finally made because the band wants to go out on top. “That would be sad. 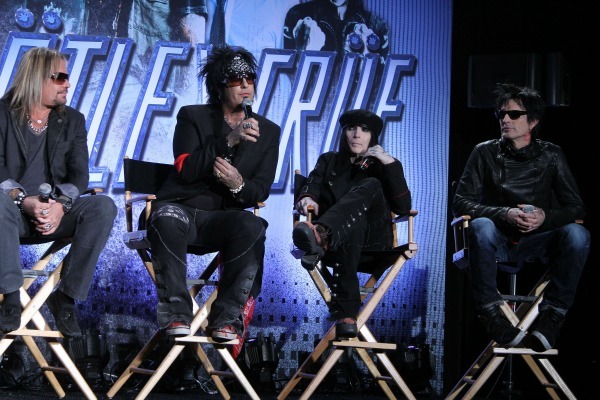 Sad is not taking your final bow in Los Angeles all together as four brothers,” Sixx said. Although the group is retiring, it is not all bad news for fans. They will have plenty of opportunities to see the “Home Sweet Home” hit makers because the rockers have a massive farewell tour planned. The Final Tour will span across 72 North American cities and should last about two years, starting on July 2, 2014, in Grand Rapids, Michigan. And there is yet another surprise — the Crüe members will be joined onstage by the infamous Alice Cooper.